Many skaters pick up their first board when they are in their teens, or even younger. On the other hand, there are later skaters; people who get interested in skateboarding later in life. 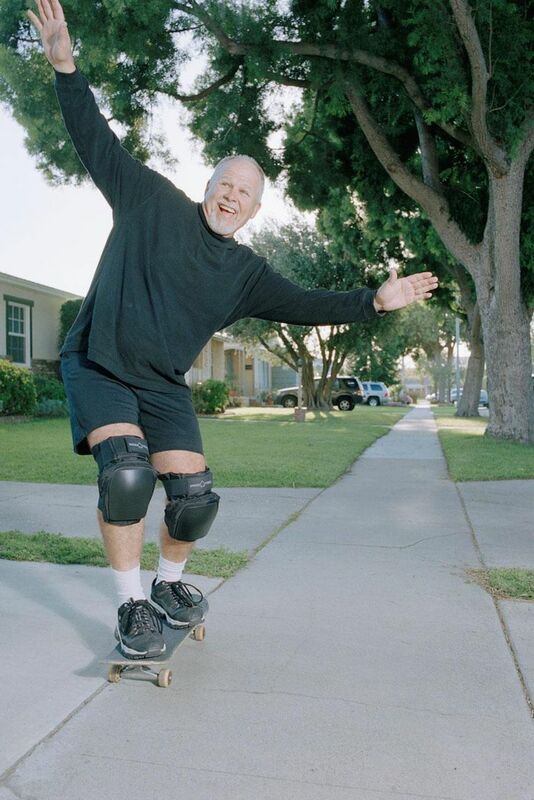 While there is no easy age limit for skateboarding, it all comes down to how healthy they are. Most people can still learn to skate in some way, but shouldn't push themselves beyond their limits. Rather, later skaters should take it slow and easy, and wear pads. People in their twenties start realizing that they aren't invincible. Twenty-year-olds also start to notice that they heal slower and have less energy. However, this does not mean that they are done being active. People in their twenties have decades of activity left in them, and many are able to get aggressive in skateboarding during this time. Furthermore, the encouraging story about Daredog shows how a girl decided to pick up skateboarding at the age of twenty, and she's blind. Being past the twenties age bracket often allows one to really feel their mortality. The good news is that there is no need to worry as those beyond their twenties can still pick up skateboarding. Read about Dean, who started skateboarding at the age of 39, and has since been in local competitions with his kids. In fact, one can get a lot older than 40 years old and pick up skateboarding. There is no true age limit, as the only real thing holding one back is their actual physical ability. If one can't walk, then they might have a harder time skateboarding. However, if they are healthy enough to try, then there is a skateboarding style out there for them. Many older skaters get into longboarding, which is skateboarding with a very long and large board. It's perfect for sidewalk surfing, which is a more relaxed style of skateboarding. Be honest: Make sure you can actually handle skateboarding. Some people in their fifties skate, but when you​ start in your fifties, it can be tough on your body. Make sure that you can handle it and take it slow. Don't push yourself beyond your limits. Relax: Don't worry if it takes some time to learn the basics. Take your time and enjoy the learning process. If you are learning with your kids, don't get frustrated if they learn to do something before you do. There's no final goal in skateboarding. It's about having fun while pushing yourself. Slower healing: The older you get, the slower you heal. If you skateboard, you will get hurt. That's just part of the deal. Take your time and don't push yourself past your limit. If you get hurt, then take the time to get better. By all means, don't try anything beyond your level. Plus, always wear a helmet. You can wear other pads, too, to protect your elbows and wrists. Equipment: As an adult, you might be able to afford better skateboarding gear. Don't cut corners, if you can afford it. Make sure you get good skateboarding shoes that fit well and don't buy a cheap skateboard. Get a good quality board. Skate shops: A lot of local skateboard shops are owned and run by older skaters. These are great places to get help and advice. It is recommended to tell them that you are looking at getting started, but are concerned about what to buy and what to do.